MR TAN Kok Tim asked about the expected drawdown of the Pioneer Generation Fund ("Any forecasts on Pioneer Generation Package drawdown? "; Oct 2). The Government has estimated the cost of the Pioneer Generation Package to be slightly more than $9 billion, based on projections of life expectancies and health-care needs. Taking into account the interest that will be accumulated, $8 billion should be sufficient to meet the total cost of the package, including a buffer for inflation. In the 2014 Budget, the full $8 billion was set aside, so as to assure our pioneers that the Government's commitments to them will be met regardless of future economic and budgetary circumstances. The financial statements of the Pioneer Generation Fund will be presented annually to Parliament. These will provide details on the amounts disbursed and the outstanding balance in the fund annually. There is no time limit set for the fund and we expect it to continue for as long as there are pioneers still benefiting from the package. When the fund is eventually closed, the intention is for any remaining monies to be returned to the Consolidated Fund and added to the reserves. Mr Tan also asked whether pioneers can donate their Medisave top-ups to benefit others who are more needy. We commend those who wish to help those in need. While the Medisave top-ups are meant for pioneers' health-care needs and cannot be donated directly, any pioneer who wishes to contribute can donate to charitable causes, such as the Singapore50 Care and Share movement. The impact of their donations to this movement will be doubled with matching grants from the Government. Any forecasts on Pioneer Generation Package drawdown? THERE are about 450,000 members of the pioneer generation ("50,000 pioneers saw GPs after special subsidies took effect"; yesterday). 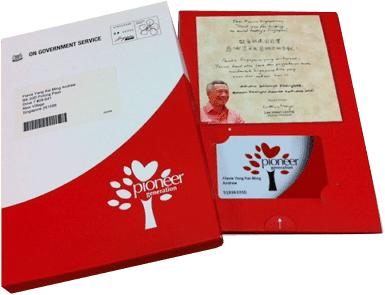 Not all who are given the Pioneer Generation card, especially those from wealthy families, will make use of the benefits. Does the Government have projections on how many will forgo their entitlements? Will it disclose the yearly drawdown from the $8 billion Pioneer Generation Package at the end of each year? Pioneers are receiving Medisave top-ups of between $200 and $800 annually for life. Is there an option for them to forgo these top-ups, so the money can benefit those who need it more? Also, does the Government have projections on the number of pioneers who will die by 2024 and 2034? And does it have forecasts on how much of the fund will remain unused, and if so, what is to become of the money? After all, the fund will have to be shut down one day after our pioneers are no longer with us.